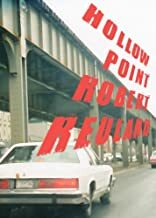 Robert Reuland's Hollowpoint is a spare, authentic debut novel by a Brooklyn-based prosecutor with a firsthand knowledge of crime and the justice system. He is also an author who writes with wit, precision, and hard-edged elegance. Although ostensibly a crime novel, Hollowpoint deliberately subverts conventional expectations, offering instead an acute, sometimes painful assessment of the long-term consequences of guilt, grief, and irreversible loss. The narrator of Hollowpoint is Assistant D.A. Andy "Gio" Giobberti, a prosecuting attorney whose life has gone off the rails. A year or so before the novel opens, Gio lost his five-year-old daughter in a senseless accident for which he himself was largely responsible. By the time we meet him, Gio has separated from his wife and has developed a reputation for erratic, unpredictable behavior. Haunted by the memory of his daughter, he sleepwalks through his life, alienating everyone who comes close to him. Gio's difficulties reach critical mass during a supposedly routine investigation into the fatal shooting of a 14-year-old girl named Kayla Harris. Convinced that Kayla's ex-con boyfriend is the killer, Gio takes his case to the Brooklyn grand jury and stubbornly pushes for an indictment. Eventually, conflicting testimony from a surprise eyewitness forces Gio to reassess his conclusions, and he finds himself looking at a domestic tragedy startlingly similar to his own, a tragedy brought on by "carelessness and stupidity" but not by premeditated cruelty. In the course of confronting the circumstances behind Kayla's death, he gradually confronts his own worst memories and begins the process of reconnecting with the world. More than anything, Hollowpoint (a beautifully double-edged title) is a minor triumph of style. Reuland's language successfully illuminates the inner world of a deeply damaged man. At the same time, it brings to life the grimmer, grimier expanses of Brooklyn, urban landscapes marked by hopelessness and neglect. The result is an edgy, uncompromising debut novel that never, ever flinches. It is the clear product of a serious writer with his own voice and his own unique vision. About Robert Reuland (Author) : Robert Reuland is a published author. Some of the published credits of Robert Reuland include Hollowpoint.